Automotive repair garage business and real estate for sale - owner is retiring after nearly 24 years at this location. 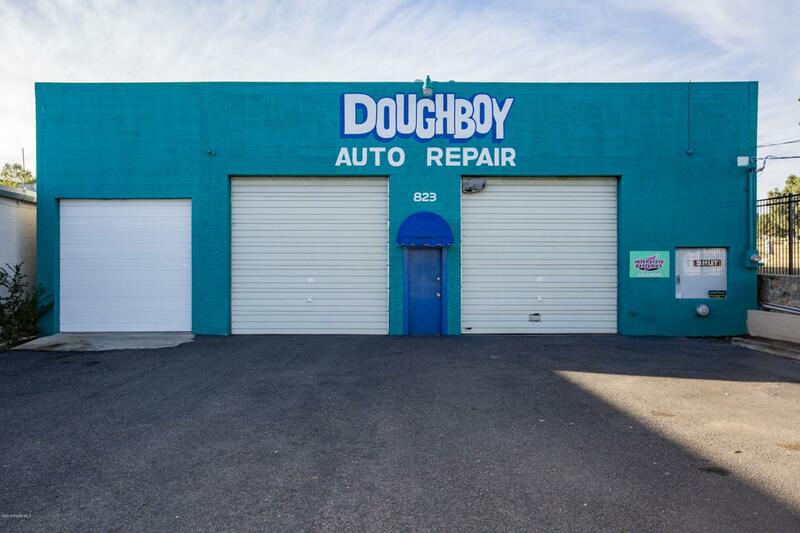 Excellent location on Sheldon St. across from Yavapai College entrance with great traffic counts of upwards of 28,000 per day. Onsite parking at front of the property along with an easement at the rear of the property to access the back of the shop and overhead doors. Real Estate, business, equipment, inventory, shop management software, customer list, business name, website and Facebook page are all included in the sale. Seller will keep personal tools and personal decor. Shop is set up as one shop currently but is able to be used as two. 2 offices, 2 restrooms, block construction, rebuild room, storage, 5 12'/10' high OHD's, gas heat in shops. Want just the business?Seller may be willing to lease the building to the buyer of the business with a 5 year minimum term.